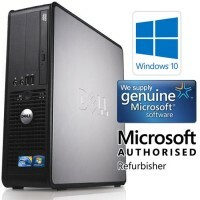 Windows 10 Refurbished Computers for the Best Windows Yet! The wait is over, and Windows 10 is here. Because Windows 10 is Microsoft’s latest and greatest, you can expect to get cutting edge features not available in any previous version of Windows. Windows 10 is faster. It manages memory better, and even if you don’t have a clue about RAM and what it does on the inside a computer, you will appreciate how Windows 10 allows you to run multiple programs with ease, even on older hardware. 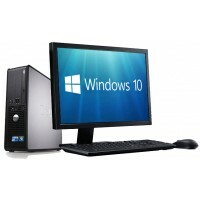 Professionally refurbished Windows 10 Computers. Counterfeit software can be a serious threat. It can lead to a corrupted system, a loss of data, or even identity theft.